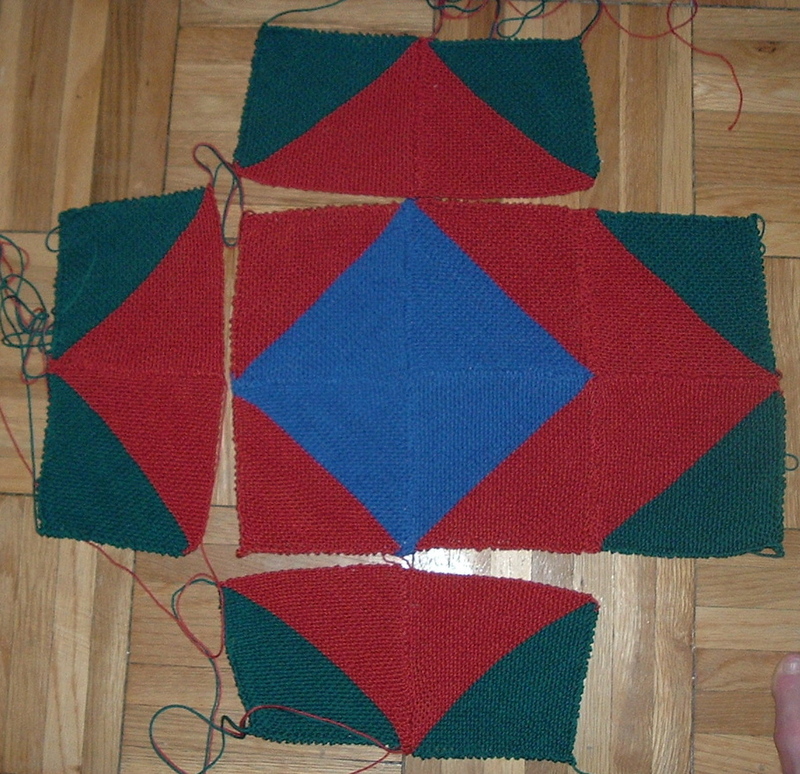 wall hanging – (almost a) quarter done! I say “almost” because I ran out of patience in sewing the rest together this evening (I must confess that sewing in general rates on the “preferred things to do” list somewhere between cramming into a super-jammed streetcar in 35 degree heat, or is that 43 degrees with the humidex?… and going to the dentist for my 16th root canal. I must further confess that I’m not very good at it [sewing, that is!]. I am quite proud to have finished 1/4 of the knitting involved despite limited time of late (and despite whipping up yet another buttonhole bag, which I forgot to photograph before giving it away… oh well…). 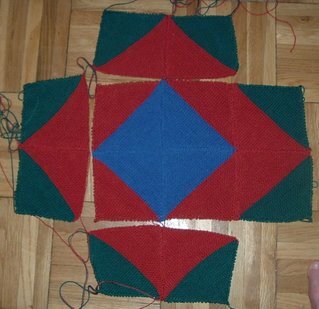 – there will be 48 squares in total (really, there will be! If I keep telling myself this it will be true. Actually, the knitting is a pleasure. It’s the sewing I’m not too fond of… did I mention that already? ahem). 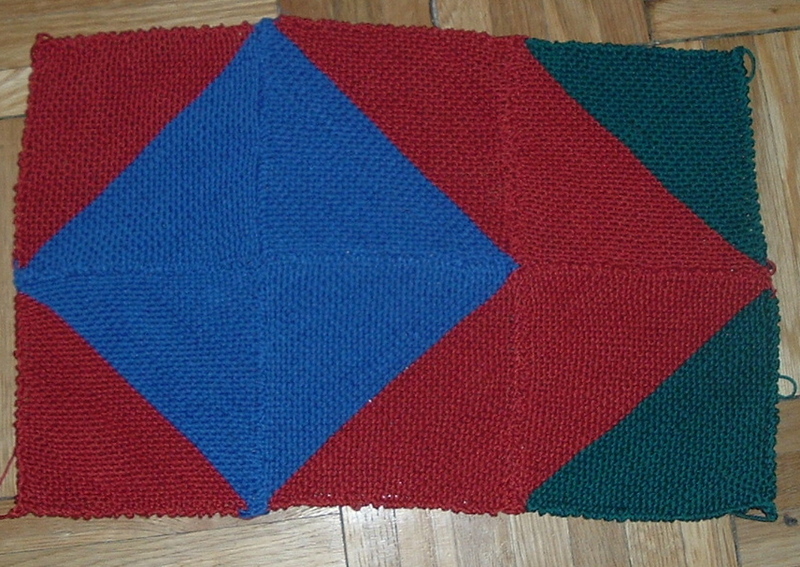 first finished object of 2007!